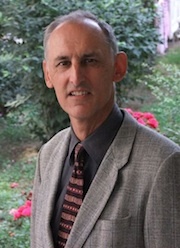 Les Wheeldon was ordained by a German missionary society in 1979. With his wife Vicki, he went and pioneered a work in West Africa. The Lord blessed and poured out the Holy Spirit, forming a living church which is going strong today. After serving the Lord 8 years in Cameroon they returned to the UK where Les pastored several churches, before devoting his time to travelling and ministering extensively in Africa, Asia and Europe preaching and teaching the word of God. He has taught in several Bible Schools in UK. and is currently Head of Biblical Studies at the Marketplace Bible Institute (where Ravi Zacharias is an international advisor) in Singapore. Les and Vicki visit twice a year to hold seminars at MBI and Tung Ling Bible School and continue with their itinerant ministry in many countries.